I have chapter and verse on the early generations of Dufauts and I’m pretty sure I’ve straightened out all the confusion of what I call the Many-Louis-Dufaut Problem. My cousin Theresa M. Schenck, in All Our Relations: Chippewa Mixed Bloods and the Treaty of 1837 (2009 Amik Press: Madison, Wisconsin) came to the same conclusions I did, anyway. The first Dufaut/Dufaux on this side of the Atlantic was Gilles DUFAU or DUFAUX, a master carpenter born about 1645 to Pierre Dufaux and Marie Riou or Griou of Châteauneuf-du-Faou, Diocese of Cornwall, in Bretagne, France. He married Françoise SIMÉON (born ca 1646 at Magny-en-Vexin, Rouen, Île-De-France to Pierre Siméon and Marie Gervaise) at Sorel (Marriage contract, notary Adhémar dated 26 July 1678). They had 5 sons, all of whom married and had children, and one daughter. Gilles died at Champlain on 2 March 1706. Françoise died 14 May 1699 in Québec city. Louis DUFAUT, 4th son of Gilles and Françoise, was born at Boucherville on 1 April 1687 and baptized the same day. He married Madeleine DANIA at Longueuil on 2 August 1711. Madeleine was a widow, the daughter of Jean Dania (born in France ca 1651 and died after November 1704, likely at Lotbinière) and Fille du Roi Marguerite Vaillant (born in France ca 1646 and died 27 Nov 1704 at the Hôtel-Dieu de Québec). Madeleine was born 6 August 1682 at Lotbinière and her first husband was soldier Guillaume GOUYOU dit LAGARDE, a widower with 4 children. Madeleine and Guillaume had 8 children before his death at Longueuil in December 1708. Louis and Madeleine had 3 sons together, one of whom died young. The other 2 sons were Joseph (who married Marie-Louise Michelon and had 5 children with her), and our ancestor Louis. Louis died at St-Mathias, Rouville, Quebec on 27 Nov. 1783. Marie-Louise Lussier died 3 January 1776 at Montréal and was buried in the pauper’s cemetery. NOTE: If you look at Ancestry’s list of parish registers you won’t find St-Mathias. The parish (originally called La Conception Pointe-Olivier) is now called St-Hilaire, and that’s where you’ll find the records. Louis DUFAUT fils was born at Longueuil on 20 August 1716 and baptized the same day. In 1736 he signed on as a voyageur with Michel Gamelin (contract notary Adhémar). After making that one voyage, he married Marie-Louise LUSSIER (daughter of Pierre LUSSIER / L’HUSSIER and Marguerite VIAU) on 12 January 1739 at their home parish of Longueuil and settled down as a farmer. The couple had 10 children, of whom at least 5 survived long enough to marry and have children. Marie-Louise died 3 January 1776 at Montréal and was buried in the paupers’ cemetery (Cimitiere des Pauvres) in Montréal. Louis died 27 Nov 1783 at St-Mathias. Louis DUFAUT, (second son by that name, the first having died almost immediately after birth) son of Louis and Marie-Louise Lussier, was born about 17 April 1747 at Longueuil and baptized on the 18th. He became engagé ouest sometime before 1773. By 1774 he married an Ojibwe woman “in the usual fashion, before witnesses”. In January 1776, his mother died in Montréal; by the fall of 1777 Louis heard the news, finished out his contract, packed up his Ojibwe wife and their two daughters and took them back to Quebec, where his wife and children were baptized, with the wife taking the name Marie-Louise. The couple married in church at St-Mathias (now apparently called St-Hilaire), Rouville, Quebec on 5 February 1779. The marriage record gives the names of the Marie-Louise’s parents as Mentosaky and Pemynany and states specifically that the marriage legitimized their 3 children, namely Marie, Marie-Louise, and Louis-Noël. The baptism record for Marie has not been found (the curé at Longueuil had been transferred, and his temporary replacement apparently either kept no sacramental records whatsoever or took them with him when the next curé arrived); however, little Marie-Louise and Louis-Noël were baptized at St-Mathias “parents inconnus”. Apparently the whole extended family (including Louis’s uncle Joseph and all of Louis’s surving siblings) turned up to celebrate the marriage except for the groom’s father (who may have been ill). In the subsequent Quebec baptisms of her children, Louis’ wife is usually described Marie-Louise Mentosaky (using her father’s name as a surname) or as “Marie-Louise de la nation Sauteuse”. 1. Marie Dufaut, born about 1774 (Baptism record not found: the curé at Longueuil had been transferred and his temporary replacement failed to keep any sacramental records whatsoever). On 14 January 1799, Marie married Antoine TRUTEAU at St-Mathias, had at least 4 children, and died at Montréal on 11 December 1863 age 89. The marriage record gives the mother’s name as Louise Brunel (see note below re this surname) but does not state where her parents are living. Her parents did not, however, attend the wedding. 2. Marie-Louise Dufaut was baptized immediately after her mother on 8 February 1779 (recorded as “Parents inconnus” because the parents had not yet married). She married Paul PIGEON at L’Assomption on 14 June 1796 and had two children by him before her untimely death on 20 February 1801. The marriage record calls her mother “Louise Brunelle” and states that the parents are presently living at Michilimackinac. 3. Louis-Noël Dufaut was born about December 1777 and baptized at St-Mathias on 2 February 1779 “age about 15 months”); this is the Louis “Senior” who appears in the registers at La Pointe. The Lucius Lyons Applications for benefits under the 1837 Treaty are confusing because it appears that there are several Louis Dufauts who are applying, when in fact there are only two: Louis-Noël and his son Louis, Jr. They were “vetted” by at least five different people, who knew the men but were uncertain as to the names of their wives. The La Pointe records taken as a whole make it clear that the father’s wife “Catherine Ghielle” is the same person as “Marie Onichi” and “Margaret”. Baraga would hardly countenance bigamy, much less three wives for one man! And it is simply impossible that there could be 3 Louis Dufaults, each with a son Louis, Jr., each married and with children with the same names as the others, each child with the same name born about the same time and place as the others, and in the same order! In other words, the people supplying the information knew the family but were unsure as to the wife’s name. Note also that even today, many Anishinaabe (including a number of cousins of mine) have several Anishinaabe personal names as well as a “white” name. The only reasonable explanation is that during those hectic first days the mission at La Pointe was open, Baraga got some names mixed up or didn’t record full names. 4. Marie-Catherine Dufaut was born at St-Mathias on 10 March 1779 (less than a month after her parent’s wedding) and baptized the next day. She married André POUDRET-DIT-LAVIGNÉ at Chambly on 19 August 1799. The marriage record calls the mother “Louise BrunelI” and states that the parents are residing at Detroit “dans le pays d’en haut”. I haven’t had time to collect the records for any of their children, but Marie-Catherine died in 1842 at St-Mathias. 5. Jean-Baptiste Dufaut was born at Chambly on 11 January 1781 and baptized the next day. His baptism record gives the mother’s name as Marie-Louise KINOGENINI, which I believe to be her personal name. Jean-Baptiste married Marguerite TRUTEAU (sister of Marie’s husband Antoine) on 9 January 1804 at Chambly. The mother’s name is given as Louise Brunel and there is no information as to where the parents live. The couple lived at Chambly and had at least 6 children. By 1810 Jean-Baptiste was a Maître Menuissier (joiner or woodworker). 6. Marie-Genevieve Dufaut 1 was born and baptized at Chambly on 5 February 1783. I believe she must have died in infancy, because the same name was given to the next child. 7. Marie-Genevieve Dufaut #2 was baptized at St-Ignace (Mackinac register) on 22 July 1786, age 16 months, therefore born about March 1785. 8. Pierre Dufaut #1 was baptized St-Ignace (Mackinac register) 26 July 1787, age 7 months therefore born late December 1786. He must also have died in infancy because the same name was given to the next son. 9. Isabelle/Elisabeth Dufaut was born ca 1788 (I haven’t found her baptism record). She married Louis CHARON-DIT-CABANA on 12 January 1804 at Chambly. The marriage record names her mother “Louise Brunelle” and states that the parents are farmers. 10. Pierre 2 died in a boating accident 17 Jan 1810 at St-Mathias; the body was not recovered for several days and he was buried on 25 January. Like brother Jean-Baptiste, he was a menuissier. The death and burial record gives his age at death as 20 years and 20 days, which works out to a birth date of 29 December 1789 give or take a day or so depending on whether the calculation took note of the fact that 1800, like all century years, was not a leap year. Pierre died unmarried and childless. 11. 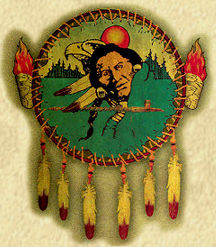 Joseph Dufaut, my 3G Grandfather, was born about 1790 at Lac du Flambeau. I believe that he was a twin of Pierre 2. He did work in the fur trade off and on but his main occupation was as a carpenter; he supervised the construction of all of the American Fur Company buildings on Madeline Island as well as both the Protestant and Catholic missions there. He married Julie CADOTTE, daughter of Michel Cadotte, Sr. and Marie-Madeleine (E-quay-say-way) at La Pointe on 2 August 1835, and their only child, my 2G Grandfather Michel Dufaut/Dufault/Dufauld was baptized by Fr. Baraga on the same date. Joseph died at La Pointe in March 1873; Julie died at La Pointe in February 1876. 12. Angelique Dufaut, born probably about 1792-93, discussed in the Johnston letter and the news report. I would love to know how that case was settled. 13. Francis Dufaut, born about 1795-96 at Sault Ste Marie, had at least 3 children by Mary Anne Meniclier and spent most of his life at Sault Ste Marie. NOTE: I am quite sure that the “Louise Brunell” listed in the marriage records as the mother of Marie, Marie-Louise, Marie-Catherine, Jean-Baptiste, and Isabelle was so recorded because the children didn’t want to have her recorded as “sauvagesse”, which most curés would do if given half a chance. “Brunelle” is of course a perfectly good French surname, but it also simply means “dark” which could refer to hair, complexion, or both without specifying ethnic origin. There is nothing in the records to suggest that the children who lived in Quebec were ashamed of their mother’s ethnicity. There is no Quebec marriage record for any Louis Dufaut and a Louise Brunel, but the children’s marriage records and their stated ages match exactly those of the children of Louis and Marie-Louise Mentosaky. Moreover, the marriage records of several of the children place the Dufaut parents as being at the Sault or other fur trade areas, the last one stating that they are now farmers. This matches the information on the American side. NOTE 2: I also believe that about 1799 or 1800, Louis-Noël escorted his younger siblings to Quebec (some of the girls may not have returned to the Lake Superior region with their parents in 1783, instead staying in Quebec to be raised by Louis’s numerous relatives). In 1802 a Louis Dufaut from Chambly signed on with McTavish, Frobisher & Co. to voyage to Michilimakinac (notary Chaboillez). A Louis Dufaux from St-Jacques L’Assomption signed on the same year with Alexander McKenzie & Co for the “Dependances du Nord-Ouest” (notary Johathan A. Gray). Louis-Noël was about age 23 at that time and, being experienced in the fur trade, fluent in the Anishnaabe language, and well connected already with various chiefs, would have been a real “catch” for any fur-trade company. NOTE: Louis’s wife is recorded as “Catherine Ghielle” in the baptism record for Augustin on 2 August 1835, then as “Maria Onichi”, age 40, in her baptism record on 25 December 1835 and in her marriage record to Louis that same day. In most subsequent mission records, including her 1866 burial record, she is recorded as Catherine. (I think she was likely actually a Marie-Catherine.) Only in the 1837 Applications is she recorded as Margaret. Louis’s age is recorded as 54 in the marriage record, therefore born about 1784. I suspect the age is a guess based on his appearance. Since he was baptized Louis-Noël (Noël being commonly given to a boy born in Quebec on or about Christmas), the couple may have married on his actual birthday. January 1867 age 1 year. Mary’s husband Antoine is pretty certainly the Antoine Buffalo who was buried two weeks before little Antoine, on 14 January 1867, age 37 years, although the record says that he was the son of Great Buffalo and Marie Dufaut. 4.Catherine Dufaut, born 23 October 1840 at La Pointe; died February 1849 at La Pointe. 5.Antoine Dufaut, born 23 February 1843 at Grand Portage, Minnesota. I believe that this is the Antoine who settled in what is now Baraga County, Michigan, where he married a woman named Catherine and had several children. 6.Susan Dufaut, born 22 February 1845 at St. Croix, Wisconsin. I have no information about her after the 1860 census. 7.Elizabeth/Lisette Dufaut, born 20 April 1847 at La Pointe and died about 11 January 1860 at La Pointe. 8.Henry, born 3 February 1850 at La Pointe. 1. Charles Chalout, born at La Pointe on 18 September 1835 and baptized on 22 November, married Archange BRISSETTE on 16 January 1866. Their son John was buried on 14 February 1868, age 1 year. I have no further information on his family. 2.Edward, born 21 August 1838 at Isle Royale and baptized at La Pointe on 17 November 1839, married Marie LE MIEUX at La Pointe on 8 October 1865. I have no further information on him. 3.Mary, born 8 June 1841 at La Pointe and baptized on 13 June. I have no further information on her. 4.Jean-Baptiste, born 3 November 1845 at La Pointe and baptized there on 6 July 1845, married Sophie NAGANAB on 3 January 1869 at La Pointe. I have no information about that family. 5.Catherine Elisabeth, born 3 September 1848 at La Pointe, died there on 18 September the same year. 6.Margaret, born 8 August 1853 at La Pointe and baptized there on 14 August, married Michael COUTURE of Red Cliff on 31 January 1871. I have no further information on this couple. 7.Isabella, a twin of Margaret. I have no other information about her. 3.Joseph, born about 1821, married Julie ROY on 7 October 1847 at La Pointe. (It can get rather confusing sorting this Joseph and Julie from this Joseph’s uncle and his wife Julie Cadotte.) I believe Julie was the daughter of Jean-Baptiste Roy and Marie Lafond, born at Mille Lacs ca. 1832, baptized age 3 at La Pointe on 27 December 1835. the couple had at least 3 children but I haven’t searched for all their records. 4. Jean-Baptiste, born about 1824 and baptized at La Pointe, married Josette SAGINACHKWE (born about 1828) on 6 September 1846 at La Pointe. I have baptism records for 4 children: Marie, born 10 Oct 1847; Charlotte born 6 April 1850; Francis born 16 January 1855, and Jean-Baptiste, died February 1857, age 1 year. 5.Marguerite or Margaret, born ca 1825 according to the 1839 Mixed Blood List. Margaret was born at Red Lake and was age 9 when she was baptized at La Pointe on 10 July 1836. On 23 August 1846, at age 18, she married Francois/Francis ROY (age 22) son of Vincent ROY and Elizabeth “Lizzie” LACOMBRE. The couple had at least 3 children for whom I have baptism records. 6.François or Francis, born ca 1829 according the 1839 Mixed Blood List. He may be the Francis Dufault who died on 14 May 1865 “age 30” as listed in Bristol’s translation of the Liber Defunctorum. 7.Augustin. According to the La Pointe Register he was born 17 August 1835 and baptized on 3 August 1835, which is is a good trick. (Baraga was overwhelmed with voyageurs who had children to be baptized as soon as the mission opened, so it’s hardly a shock that an error or two crept in.) He is probably the “Aug. Defounde” age about 40 who died on 7 May 1881 and was buried at Lapointe 2 days later. 8. Louise, born at Sandy Lake, age 19 at baptism on 4 August 1835 therefore born about 1716. Parents not stated, but at that age she was considered an adult and a fatigued Baraga may not have bothered to record her parentage. She married Joseph Montreuil (Montrail), age 25, on 9 August. 1.Elizabeth Julia, born 19 October 1855 at La Pointe and baptized there two days later. On 8 December 1872, at Bayfield, she married John BUFFALO, Jr. The couple wound up living at Red Cliff. John died at La Pointe about 27 July 1892 and was buried on the 29th. I am not certain about their children. 2.Vincent Michael, my great-grandfather, born 6 January 1858 and baptized at La Pointe shortly thereafter (the page of the register is torn at the side where the baptism date was recorded). As a young man he went to Superior, Wisconsin, where his uncle Vincent Roy was a merchant, then to work at his uncle’s fur trade post at Vermillion Lake, in Minnesota. There he married a woman named MAY-MIN-WAUN-DAH-GAUSH-EAKE, by whom he had one daughter, Mary (Kay-ge-gay-ah-bun-du-moke). However, Vincent was a very good-looking man (I have a photograph of him), and by a Canadian Ojibwe from Lac La Croix he had two other daughters, one of whom was my grandmother. Vincent was enrolled at Vermillion Lake (now part of the Bois Forte Band of Minnesota Chippewa) and was an expert trapper and woodsman; in 1897 he served as guide and “general woodsman” for a party of state geologists on a field survey. He had an allotment in Koochiching County which, a century after his death (September 1910), is still wildly fractionated and undeveloped, and none of his descendants has ever received a penny from their inheritance. 4.Elizabeth (aka Lisette or Lizzie) was born 2 October 1864 at Lake Winnipeg and baptized at La Point in December 1864. She married (1) Antoine DECOUTEAUX, son of Frank DECOUTEAUX and Theresa MINDEMOIE at Bayfield on 11 January 1880. The couple had three children, Francis born and died in February 1881 at La Pointe; Bazil, born about 1883 and died after the 1930 US census; and Elizabeth, born about 1883, died 14 June 1884 at La Pointe. Antoine died sometime before 1892, when Lizzie was “removed” to White Earth with her parents and her son Bazil. There she married (2) Mississippi Chippewa Antoine CHARETTE, and had 4 children by him: Sarah aka Sadie, born about 1898; Frankie and Peter (apparently twins), born about 1901; and Angeline, born about 1904. Antoine died at White Earth on 12 December 1916; two days later, her widowed father, living with her, also died. Lizzie apparently went back to Bad River with her son Bazil and (presumably) her daughter Sarah after the double tragedy and is on the 1920 census with her son. 5.Mary was born 26 February 1867 at Grand Portage and baptized at La Pointe on 27 April. She was “removed” to White Earth with her parents. I have heard but not yet proved that she married (1) William Wright (Te-bish-co-ah-hah-quod), a Mississippi Chippewa at White Earth who died on 21 March 1909. In any event, Mary appears on the Fond du Lac Removed White Earth roll with her parents in 1901 with 4 children (all listed with the surname Dufauld): Peter age 14, Charlotte age 6; Julia E. age 4, and Josephine age 2. In the 1910 Federal Census she is living next door to her parents and married to Henery [sic] Laroque [Pembina Chippewa], who had several children by a prior marriage; Mary has had 6 children, of whom 4 are living (one, Charlotte Dufauld is living with her mother and stepfather). Mary died 25 August 1914 at White Earth. 6.Louis was born about 1870, according to the 1880 Federal census and the 1887 Indian Census for Red Cliff. He then appears with his parents on the rolls for Fond du Lac through 1892. I have found no evidence that he was removed to White Earth with other family members, but a Louis Dufault of about the right age appears on subsequent Fond du Lac rolls until well into the 20th century. 7. Michael was born about 1872, according to the 1880 Federal census. I have no other information about him and he does not appear on the Indian Census rolls I have consulted. Perhaps he died young, before the currently existing Indian census rolls. 8.Mystery son with illegible name (1880 US census for LaPointe), born about 1874 according to the census. The name looks like Vassan or Vassure, which is ridiculous as a personal name. However, Josette had both a father and a brother named Vincent and I am inclined to believe that Vincent Michael, my great-grandfather was named after one and this son was named Vincent Simon (after the other Vincent and her brother Simon). In any case, there is a Simon Dufauld born about 1874 who is found on the Fond du Lac rolls in the Indian Censuses at least during 1902-1909. 9.Peter 2, born about 1875 according to the 1880 census. There were several Peters, but all that I have found were born at least a decade later than this Peter. And although naming customs vary, it’s pretty unusual to have two Peters with the same parents when both Peters are alive. However, it’s not unheard-of, and there is a Peter Dufauld 2 years younger than Simon who appears on the Fond du Lac census rolls at least during 1902-1909. This youngster may be the Peter J. Dufauld of the right age who appears on later rolls at White Earth. This is all the information about this line that I have at this time. After having 3 more children in Quebec, the couple returned to Lake Superior where the rest of their children were born. Hello I was researching my fathers side of the family and luckily found your post. I believe that Louis Default is my 7th great grandfather. If you would like more information please email me. I will he email you.